To casino players based in the UK, online gambling is far from anything unheard of. Online casinos are growing at an explosive rate in the country; the sophisticated websites have made on-the-go gambling possible, taking casino gaming to a whole new level. The plenty of casino sites listed on Casinostoplay.com have perfectly demonstrated the popularity of online gaming. According to the UK Gambling Commission, online gambling takes up as much as £4.5 billion of Britain’s entire economy, making the industry the country’s top revenue contributor. Despite its success in the UK, online gambling remains illegal in many parts of the world. But with the rapid development in digital technology, will online gaming become globally legal in 2019? Let’s take a closer look. The online gambling market is slowly opening its door in the United States of America again. Since the Federal government gave the green light for states to decide whether to allow gambling sites last year, actions towards the legalization of online gaming have been spotted in many states. Attracted by revenues generated by tax and licensing, Pennsylvania, Delaware, New Jersey and Nevada have already made most forms of online gambling legal. At least 25 other American states are considering to legalize the activity. 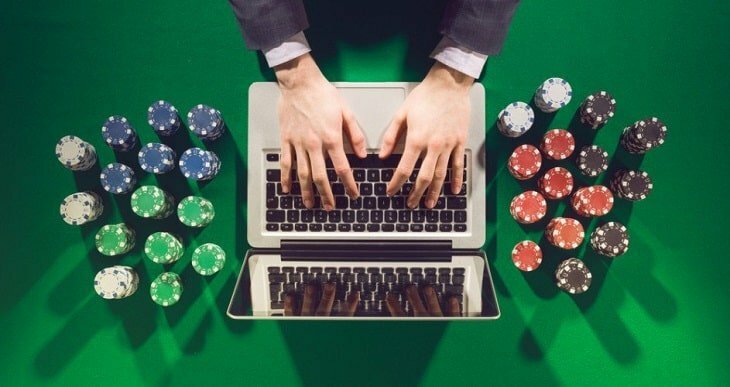 The legalization of online gaming seems to have become a trend that will eventually expand America’s regulated online gambling markets to the entire country. Sweden has become fully legal after the government decided to re-regulated its gaming market in 2018. To prepare for the official opening of the new regulated market on 1st January 2019, the Swedish Gambling Authority began to accept applications for gambling licences since August last year. Online gambling firms are required to obtain licences from the regulator in order to operate legally in Sweden. Given the fact that many online casino giants, such as LeoVegas and Mr Green, actually have a Swedish origin but were forced to headquarter abroad, the re-regulation has paved the way for Sweden to become a leading online gaming market. With the recent acquisition of Swedish licences by reputable casino software developers such as iSoftBet, we are even more certain about Sweden’s potential in the industry. In Australia though, the picture is somewhat different. Online gambling used to be tremendously popular in the country: about 80% of the population gambled at least once a year. However, the situation changed when the Interactive Gambling Amendment Bill 2016 was approved. The amendment of the Interactive Gambling Act of 2001 (IGA) has banned Australian punters from accessing online casinos. Although Australian gamers won’t be penalised or prosecuted for gambling online, many established gaming operators were forced to withdraw from the Australian market. Some are worried that this may encourage illegal and unsafe gambling activities as trusted, secure gambling platforms are no longer available. Lately, things have become interesting in Germany’s online gaming scene. Online gambling has been unregulated in the country until 2008, when the Interstate Treaty on Gambling (ISTG) was approved and joined by all 16 German states, prohibiting all kinds of online gambling. In 2012, the state of Schleswig-Holstein withdrew from the treaty and granted licences to about 15 operators, including 888 and Betway. Nevertheless, the licences were only valid for six years and due to renew at the end of 2018. So far no legal gaming sites are operating in Germany, and there isn’t a way to apply for a licence. The EU has expressed its concerns towards the German gambling laws’ violation of free trade rules. While Germany is keeping things as they are for now, the country is considering to make some changes to its existing regulations so that it is more in line with the rest of the EU. Although the online gaming industry is still under plenty of restrictions in some parts of the world, with new technological advancements and breakthroughs almost on a daily basis, countries, where online gambling is restricted, will be more motivated to start legalising the activity. With Sweden being a perfect example, we are expecting significant growth in the global online gaming sector in 2019.